Dr. Darlene Miltenburg MD, FRCS(C), FACS completed her General Surgery Residency in Canada where she was born. She then moved to Texas to further her education. Darlene completed her fellowship at the Baylor College of Medicine in 1997. At this time Darlene was invited to stay on at Baylor as the Assistant Professor of Surgery. Darlene also practiced General Surgery at The Methodist Hospital in Houston. While there she found herself drawn to patients with breast problems, especially breast cancer. In 2002, Dr. Miltenburg moved to Temple, Texas to become Chief of Breast Surgery at Scott & White Hospital for almost 10 years and was instrumental in obtaining the prestigious National Accreditation Program for Breast Centers. She has helped train many medical students and general surgery residents, several of whom pursued additional training in breast surgery fellowships. She has published and lectured extensively. During this time, she also performed as Assistant Professor of Surgery at Texas A&M Medical School. Her practice grew quickly, and she has treated thousands of patients with breast cancer and other disorders of the breast. Her surgical volume is approximately 700 cases per year. Dr. Miltenburg prides herself on a low complication rate, excellent cosmetic results, and with operations for cancer, and a very low incidence of local recurrence. Dr. Miltenburg provides leading comprehensive breast cancer care using the latest technology and advanced techniques to perform all breast cancer treatments. 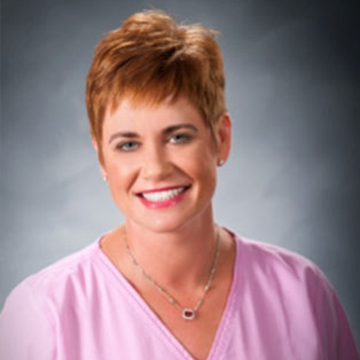 She customizes all specialized radiation and chemotherapy treatments and specializes in procedures ranging from mastectomies to breast reconstruction. Darlene returned to Houston for family reasons in 2011. Upon her return she was recruited to be the Medical Director of the Texas Women’s Comprehensive Breast Center. As a woman, and as the sister of a breast cancer victim, Dr. Miltenburg is committed to delivering personal, compassionate, experienced surgical care to women with breast cancer and other diseases of the breast.